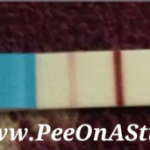 We have all heard horror stories about the (Blue Dye Tests) in which they are well known for False Positives, (Dye Runs), and (more importantly) (Evaporation Lines!) 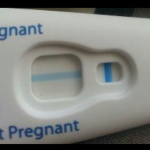 So just how Good or Bad are these? 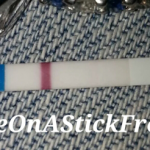 I was just about to conduct one of my famous and fun (HPT Experiments) when I opened a, never before used Clearblue Easy Blue Dye (+ or -) TEST. 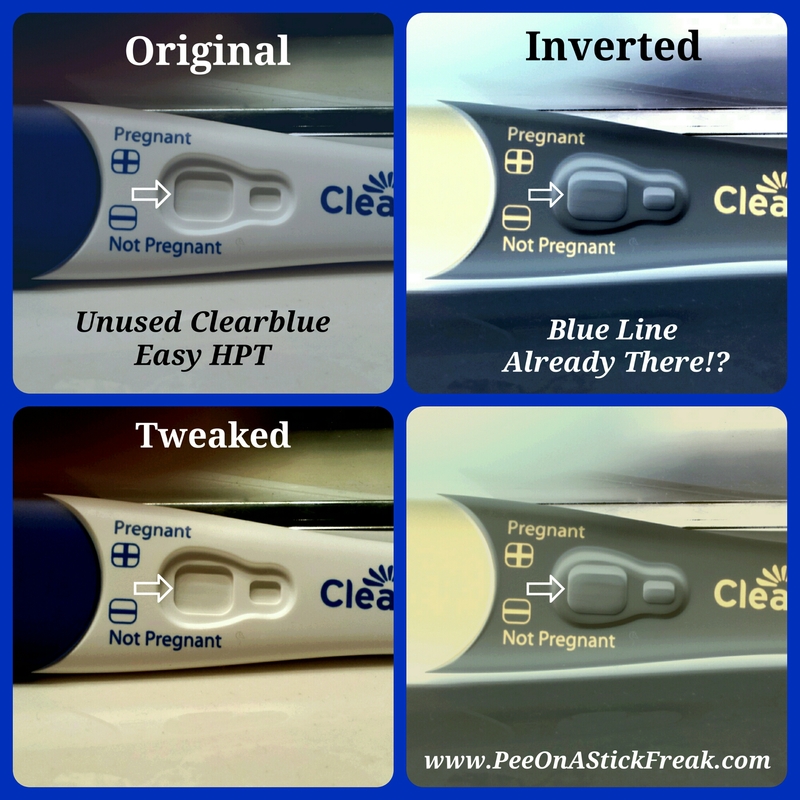 I immediately noticed upon taking it out of the package that low and behold – THERE WAS ALREADY A BLUE HORIZONTAL LINE ON IT! 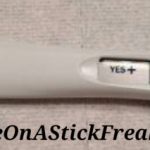 It just seemed so odd to me. 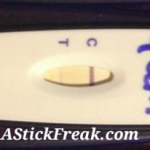 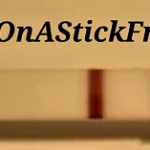 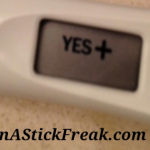 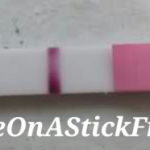 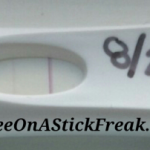 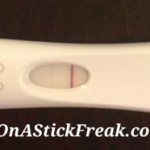 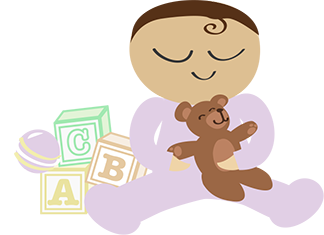 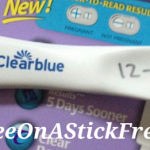 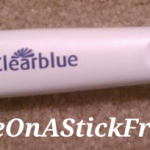 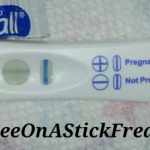 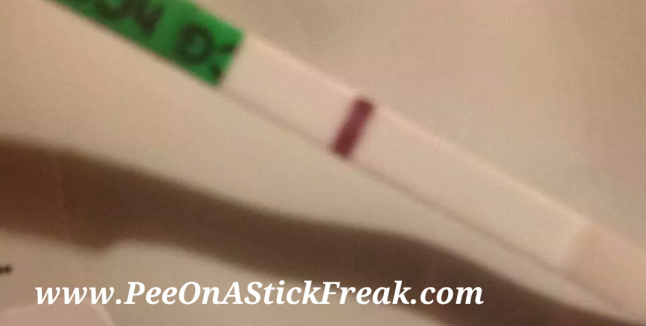 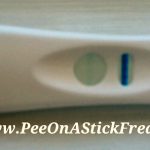 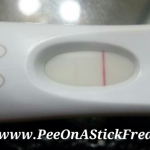 I have of course had my own experiences in the past with Evaporation Lines and False Positives on HPT (Home Pregnancy Tests) – even hard to interpret results on OPK’s (Ovulation Predictor Kits!) 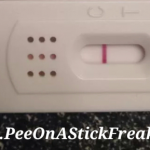 I took a quick video showcasing the Unused TEST and Blue Line prior to dipping it in any Urine. 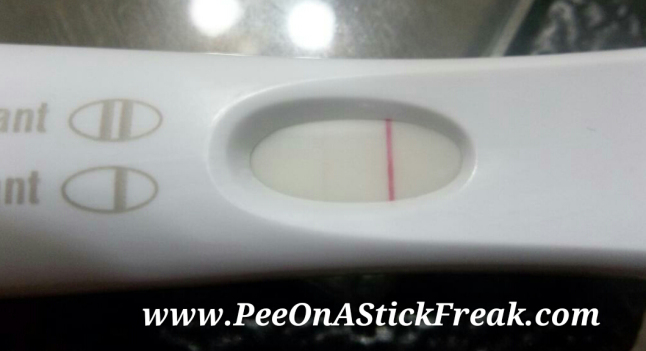 Unfortunately the video did not appear that visible to the naked eye on camera! 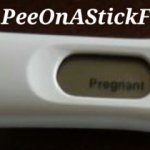 Luckily I also snapped a picture. 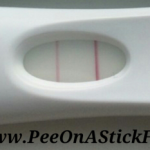 There you can clearly see a Line, running across the Unused TEST. 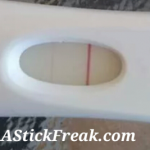 I do not believe I have ever seen anything like that before! 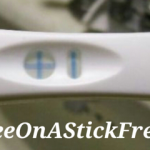 What’s your take on it? 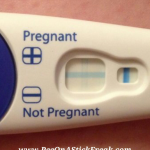 I used one about a month ago and do not recall seeing one on that particular TEST. 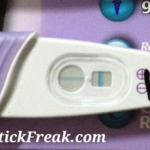 Here’s the more in depth video I took, although it’s much clearer in the illustration above. 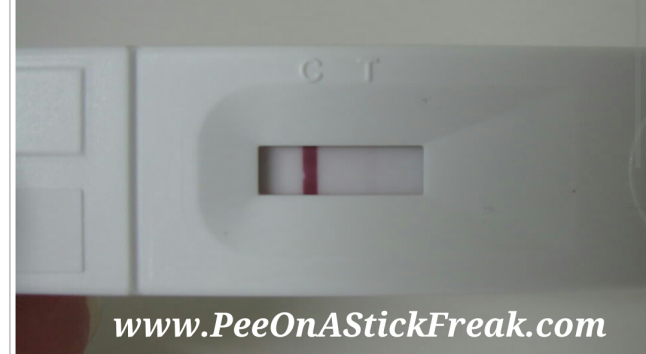 Can you get a FALSE POSITIVE if an Unused Test comes into contact with a TRUE POSITIVE? 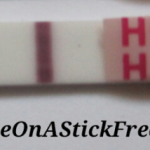 Over the past few days I’ve been conducting some new Experiments just to what (if Anything) can yield any false positive results on a HPT? 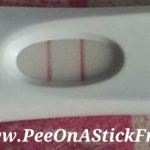 Soooooooo – I decided to Take a (True Positive) HPT and touch it on a (Never been used) HPT just to see if it could possibly yield a (False Positive Result) after dipping it in normal Urine that contained no traces of HCG – just simply Because it came into contact with another, True Positive Test?! 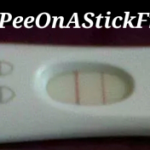 PLEASE CLICK HERE TO “Like” THE (PART 2) VIDEO! 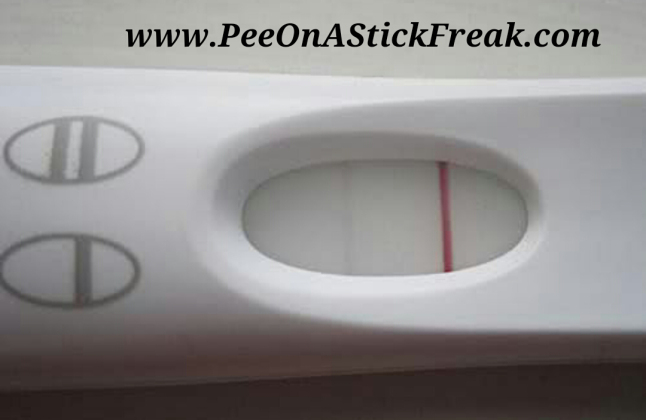 PLEASE CLICK HERE TO “Like” THE (PART 3) VIDEO! 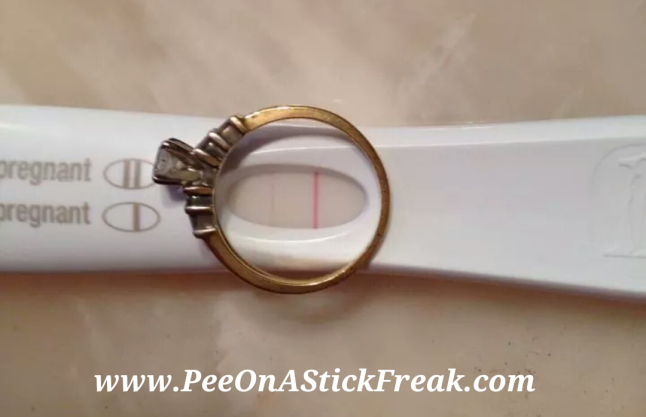 Reusing a Negative HPT with Urine that contains HCG! 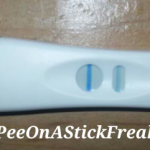 My lovely friend who is Pregnant, donated a Urine sample! 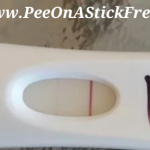 Being as how I had a few Negative HPT’s laying around, I decided to see what would happen (if Anything at all) if we re-dipped the same Test, in Urine that contained the hormone HCG! 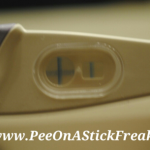 Can the Temperature of Urine Effect the Results on a HPT? 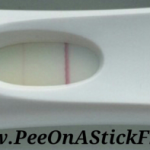 Lucky me I have a friend who just so happens to be Pregnant and donated a Urine sample! 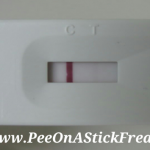 I’ve done a previous Experiment with the (Temperature of Urine using a OPK) I thought I would try this same Experiment with a HPT! 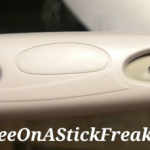 I left the sample sitting out for about 2-3 hours before making this VLOG!